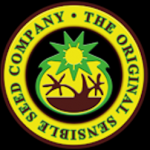 From the creators of Bigger Pine in the 1990´s and the most potent of potent \' PR # 1\' The Original Sensible Seeds are pleased to bring to the market a new range of feminized and auto/feminized marijuana strains. From their continuous travels and search around the world OSSC collected their own personal collection of exclusive genetics, they\'re now offering you. For those who like quality without too much agonizing, we have a range of easy to grow automatics including our bestselling Auto Purple and Black Domina cross Jack Herer Auto – aka Auto Black JH (AKA The Prince of Darkness) !